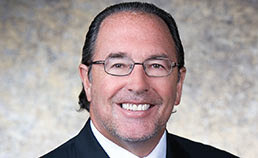 This scruffy guy with the pony tail is the former Chairman of Grubb & Ellis and NNN Realty Advisors - Tony Thompson. He's pretty eccentric, but very successful. Thursday he was interviewed by GlobeSt.com regarding the founding of his latest company - Thompson National Properties. One of Tony Thompson's favorite quotes is "Buy into fear and sell into greed." While everyone is nervous about the economy, property values are coming down and financing is tough, these are valuable words to remeber. This is particularly true for those of you with CASH! Cash is king right? The truth is, the people in trouble right now are those who were to highly levered (read: Harry Macklowe). Those with the cash to buy the troubled buildings and development sites are in a position to capitalize on the market. If you're looking for a deal - I know a building expected to sell for $700 million less than it would have a 9 months ago (read: GM Building). There are other opportunities out there as well - keep your eyes open.